What Happens to Maggie in The Walking Dead Comics? With so much sh*t going down on The Walking Dead, it's tempting to look at the comic books as an indicator of what lies ahead. 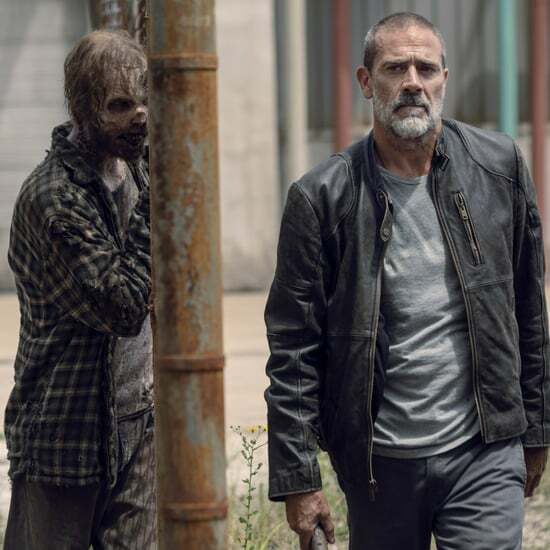 We've already taken peeks at the stories of this season's newest characters, like the new villain Negan and the charismatic King Ezekiel, but there's one mainstay character who really seems to be at a crossroads right now: Maggie Greene. After the devastating loss of her husband, Glenn, poor Maggie seems to have been set adrift. She's currently gearing up for war against the Saviors on the show, but where does her story go in the books? In the comic books, Maggie heads to the Hilltop Colony and never leaves. She arrives at the community with Sophia, her adopted daughter. (Remember Sophia? 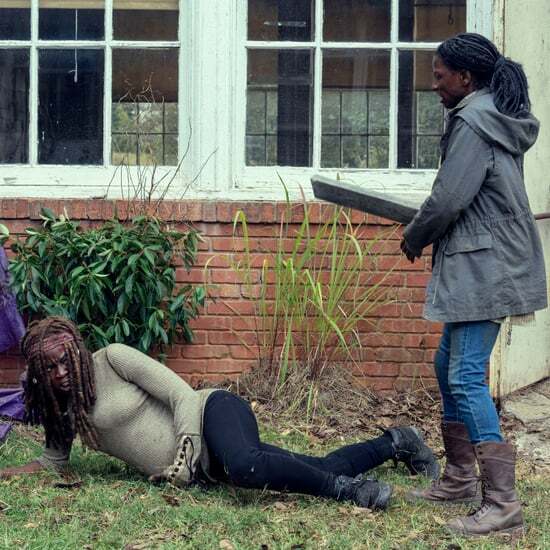 She's Carol's daughter, and on the TV show, she dies while the group takes shelter at Hershel Greene's farm. In the books, Carol is dead and Sophia is still alive.) Once she settles in, Maggie gives birth to and raises her son, who she names Hershel after her late father. 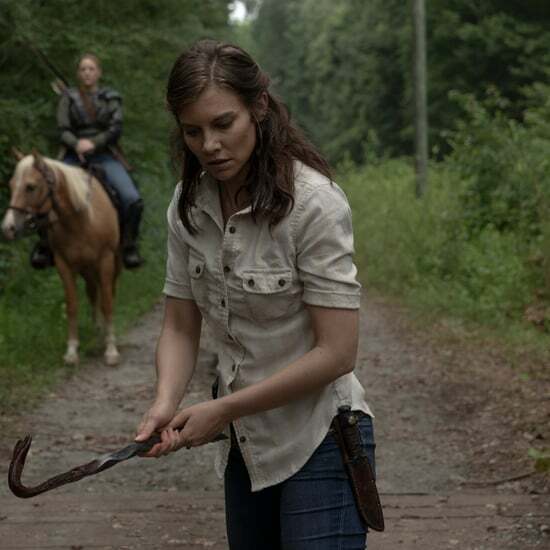 In the wake of Glenn's death, Maggie becomes more hardened than ever by the apocalyptic world. 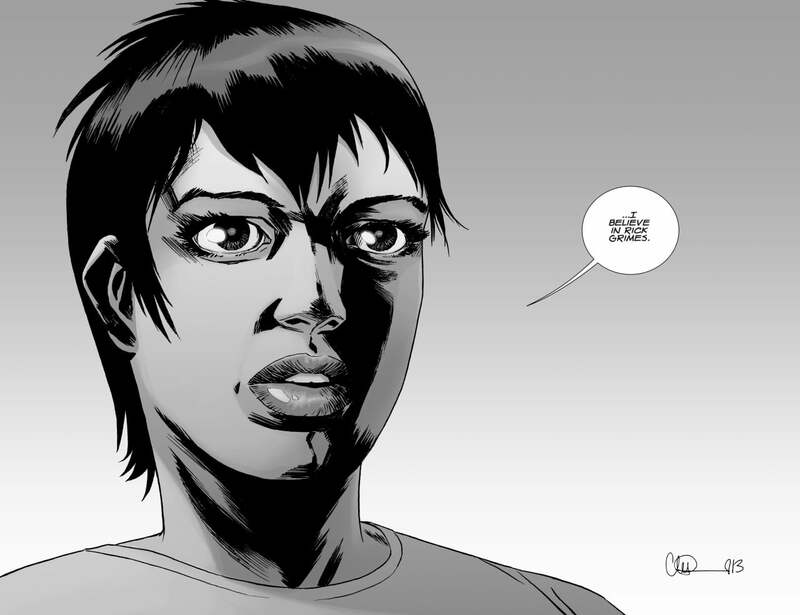 She carries a newfound anger and harbors a bit of a grudge toward Rick. 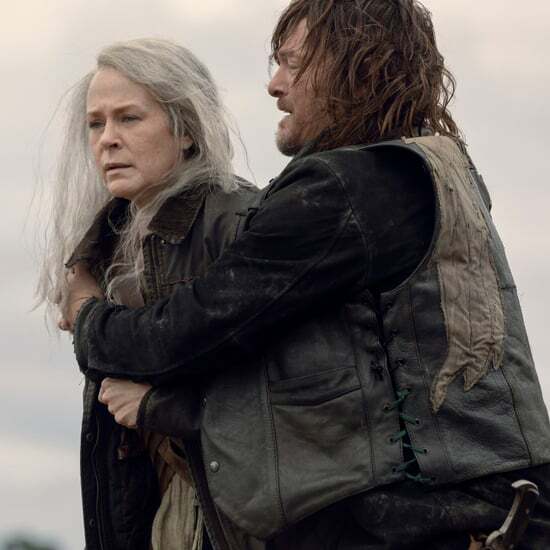 She becomes instrumental in uniting Hilltop and Alexandria against the Saviors and sets herself apart as a new leader. The new Maggie is much more violent in the comic books, which means she could go that way on the show as well. After Glenn's death, she beats Rick. 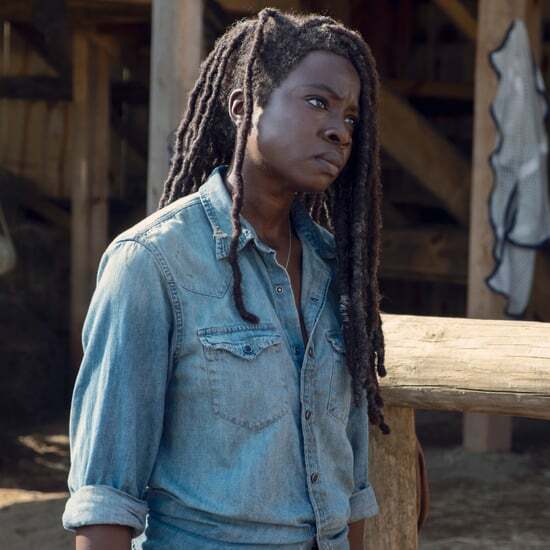 Once she gets to Hilltop, she punches Gregory, the community's leader, in the face and later beats Rick up again during an argument. In the wake of the war against the Saviors and Negan's sort-of defeat, the members of the Hilltop community decide that Maggie is more fit to keep things running smoothly. As a leader who is losing his grip, Gregory shows an utter lack of faith and obedience when it comes to Maggie's seizure of power. She eventually calls for his execution, and the group kills him by hanging. In the most recent issues, Maggie again joins with Alexandria to fight the new and terrifying threat called The Whisperers. 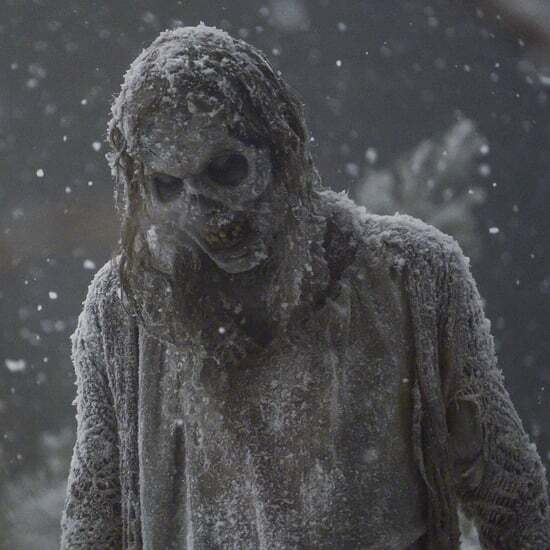 Ruled by a ruthless leader called Alpha, The Whisperers are a murderous group disguised as walkers that roams the land nearly undetected. Alpha kills humans and mounts their severed heads on stakes and is actually responsible for the death of King Ezekiel. The last published issue plunges the main characters into the war against this group. When we last see Maggie, Hilltop has caught fire, and she's evacuating with Sophia and Hershel. The fate of the trio is currently unknown.